To get a real benefit from NLP takes Practice! I learnt so much in such a short time, and I was doing NLP!!! And so I put together a Solution!!! After my initial success, I rewrote the software to make it more effective, and decided to give it a name: NLP Coach! If you're wanting to learn and practice these foundational communication models, here is a learning tool that I'd check out"
But what if I still don’t understand? 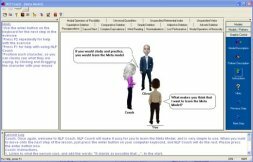 So what does this interactive NLP training workshop cost? ... Ok so this not a live training, but with all this great material, You’d expect NLP Coach to cost at least $300 or more! And even with a heavy discount, at least: $197! "The ultimate companion for anyone practicing NLP"
As a Certified Trainer of NLP, practicing and teaching NLP for 14 years, I believe this program to be at this time the ultimate companion for anyone practicing NLP"
"I truly have not found a better way to learn the Meta Model and Milton Model"
"After going as far as the Trainer's Training, I truly have not found a better way to learn the Meta Model and Milton Model language patterns than your software. It is fun and so helpful! Most of the students have to go around with a printed-out version of the language patterns to really learn them, this is so much more effective." "The practice with skills is quite amazing"
This is the kind of tool that I believe should be on the computer of every trainer and therapist out there"
"I LOVE your software - well done indeed!" 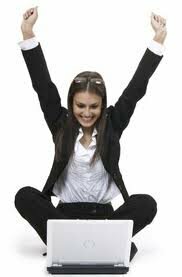 "I LOVE your software - well done indeed! Thank you for introducing it. I've had fun playing with it today"
because it leads me down the path easier"
"I like your idea on the Coach with it being a top down learning style. Honestly I did not like the structure of magic as much for the learning and like to learn things as I am to use them. 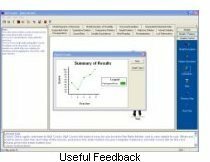 It makes more sense to me because it leads me down the path easier"
"Many Thanks for producing this invaluable tool"
Your program allows the lay user to practice very specific aspects of how they plan to achieve their outcome. 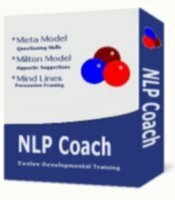 Just as a person learning a new language will have to learn specific conjugations, number agreements and irregularities, NLP Coach allows you to learn the Meta Model and Milton Model as you would learn a language, so that when you reach unconscious competence you have basically learned two new languages! Many Thanks for producing this invaluable tool"
"I am honestly in awe at how great it is"
I'm using the software and am honestly in awe at how great it is. I spent $1500 dollars on a NLP and Hypnosis home study. Fails in comparison to what one can achieve in this interactive style"
You can either carry on & be in much the same place in two or maybe three years time. Some things will have changed, but essentially, everything’s just as always.. ! Click Here to Reserve Your Copy of NLP Coach Now! Full 60-Day Money Back Guarantee!